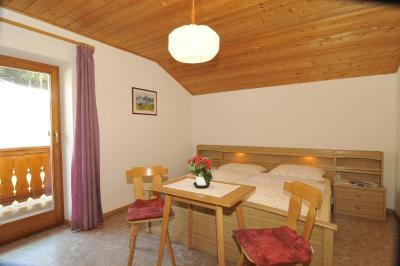 Lock in a great price for Fiziderhof – rated 8.5 by recent guests! 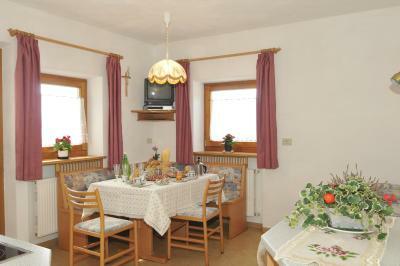 The service was friendly, the flat was very comfortable and clean. Great breakfast. The view from the deck was beautiful. 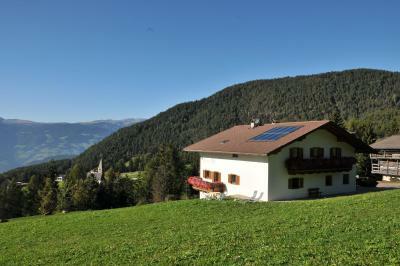 we loved the location, the view, surrounded with nature on a small hill and very quiet. its hard to comunicate with a host who does not speak english at all. Yohana did her best to help and was generous when she let me use her washing machine and bring our laundry so we can hang it. Very comfortable and quiet lodging. The breakfasts provided were really excellent, especially the cream from the family cow! Coffee was very good too! We were quiet comfortable, and would stay there again. The restaurant near by, and just a short walk away through a field, was also excellent. We were right on the bus line so easy to catch a bus to Kastelrotto or walk. The location is amazing! The farm setting was so calm and beautiful. We extended our stay. We loved the location of this apartment. It was very beautiful and the breakfasts served each morning were tasty. Location very good for our activities. Clean. Nice, peaceful setting and view. Roomy. Private. Owner very sweet. This was one of our nicest stays in Italy. The apartment was large for our family of my husband and I and our 2 grown young adult sons. The apartment had 2 bedrooms, 2 bathrooms, kitchen and eating area and 2 balconies--one out front with an absolutely stunning view and one out back with a view of the mountain. 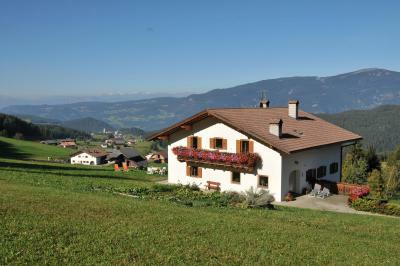 It is a working farm with an alpine style chalet. It was extremely clean and had private parking right out front of the house. It was a perfect set up for us. I would love to go back and stay for a month! the accommodation it's quite authentic especially that the owners are running an active farm. 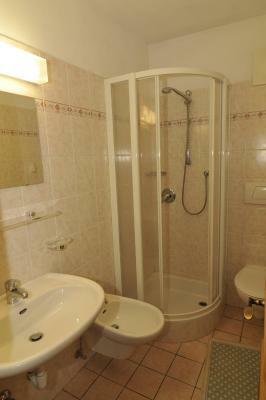 One of the apartments has 2 bathrooms which was a pleasant surprise as we didn't expect that. The owners are very nice the views from the rooms are breathtaking. The house is surrounded by green grassy slopes. The mountain view in front of the house worth a million. We rented an apartment for 4 people, kitchen wares and cooking stove are branded new. the breakfast and coffee was amazing!!! home made !!! Featuring views of the Val Gardena Valley, Fiziderhof is an alpine farmhouse with cows, cats and rabbits, 1.9 mi from Castelrotto. 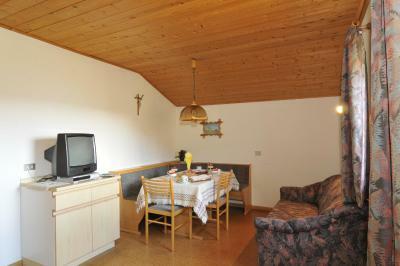 The traditional apartments have a private balcony or a terrace. 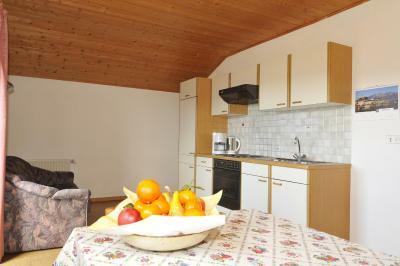 Apartments are en suite, and come with wooden furniture and a kitchenette. 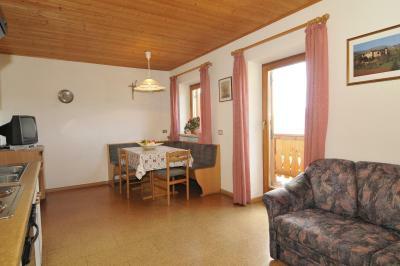 The ground-floor apartment has a terrace with views of Castelrotto. On request, you can have breakfast and sample milk from the farm’s cows. 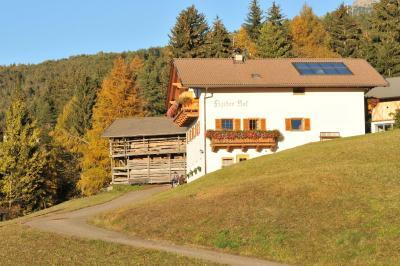 Tyrolean cuisine can be sampled at a restaurant set 1,650 feet from the Fiziderhof. In summer, you can relax in the garden, where you will find tables, chairs and a terrace. 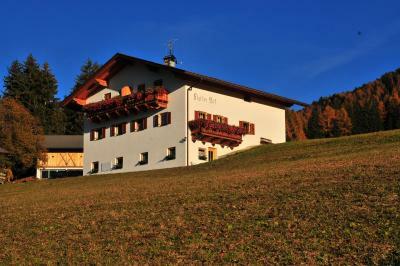 Located in the quiet Saint Michael area of Castelrotto, the Fiziderhof lies 3.1 mi from the closest ski slopes. The alpine Lago di Fié Lake is 6.2 mi away. 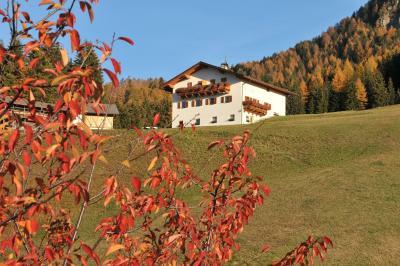 When would you like to stay at Fiziderhof? 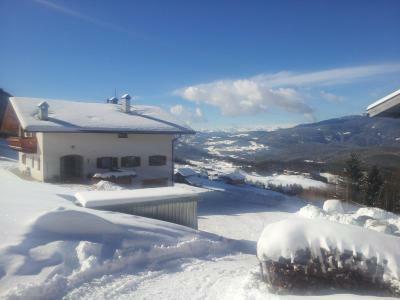 This ground-floor apartment with Alpine-style décor offers a terrace with views of Castelrotto. 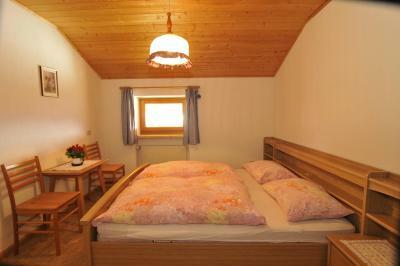 It features a kitchenette, a large double bed, and a bathroom with shower. 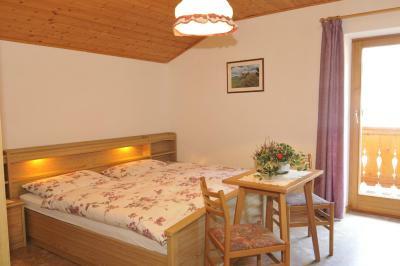 Offering a balcony, this Alpine-style apartment with wooden furniture offers a living/dining area with kitchenette and a private bathroom with bath. House Rules Fiziderhof takes special requests – add in the next step! One child from 3 to 12 years is charged 40 % of the room stay per night and person in an extra bed. 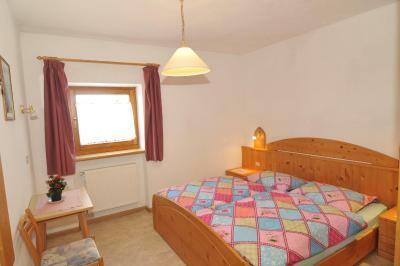 One child from 12 to 16 years is charged 50 % of the room stay per night and person in an extra bed. Fiziderhof accepts these cards and reserves the right to temporarily hold an amount prior to arrival. Please note breakfast is at extra costs. unfortunately each apartment had a room that during the night was quite cold. The website made no mention of the location being at the top of a very steep hill. Directions were not clear in the listing. If it had been made clear that there is easy bus access to the location via the 170, it would have saved us a three mile walk from Castelrotto. 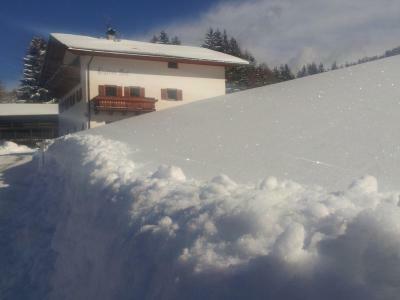 The house situates a bit uphill, only suitable for people travelling with car. The wifi reception did not work well but we had our data plan so it was fine to us. the main dissapointmet was to see a wall right infront of our eyes, when we opened the window to see the view in one of the rooms, and realize that this is actually a room under a hide and under the path. the rest of the appartment was nice, cozy, small but good enough for 3 people. The towels are a bit worn, probably time to replace them. Car needed, as supermarket was not within walking distance, A small compartment for frozen food in the refridgerator would be helpful. 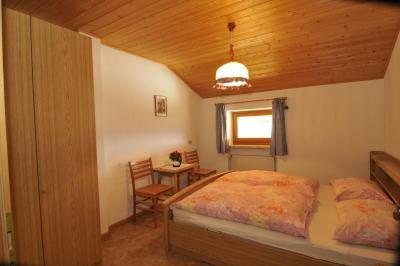 Great and comfortable appartement. Clean, safe, good service and great value for money. A little cold at night. Isolated farm house. So peaceful. Perfect location and very beautiful view. 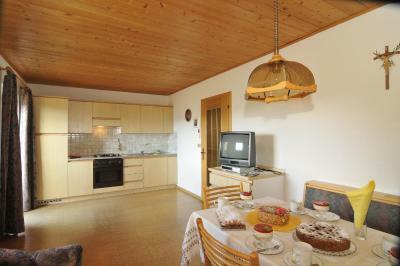 Pretty large apartment with kitchen. The owner is very nice and helpful. Good value to stay. It was a little cold at night for my wife. I was fine, though. Breakfast was outstanding. Very friendly owner. She let us store our luggage while we were hiking in the mountains for a few days. The view and the landscape are fantastic. There are also numerous hiking routes. 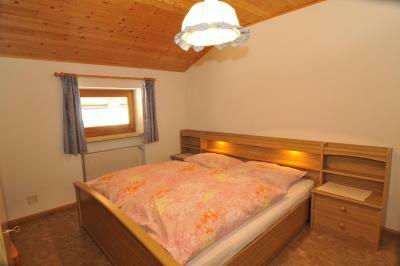 The apartment is ideal for a family with 2 kids. 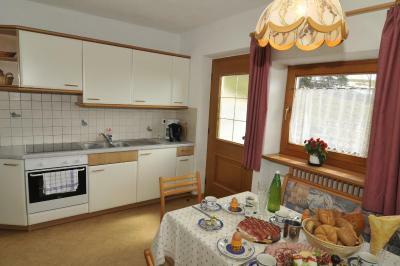 The kitchen and bathroom are well equipped, including a washing machine and a dish washer. The bed are big and comfortable. There are 2 balconies with chairs to enjoy the view.